White Hart Lane, London, England. Tottenham Hotspur handed Manchester City their biggest Premier League defeat in seven years as they came from behind to score four goals at White Hart Lane. Despite De Bruyne's opener—a fantastic counter-attacking goal—the first half finished all square as Eric Dier's long range shot beat Caballero after some sloppy defending from the Citizens. Then, an error from City's keeper early in the second half made it easy for Alderweireld to fire them ahead, before Kane ended his goal drought and Lamela finished off the job. A slow start to the action hardly foreshadowed the mass of goals that would follow, with a tentative start at White Hart Lane. Kevin De Bruyne slashed his shot wide while a sloppy Lloris clearence almost opened up another chance in a sparse scattering of events in the opening exchanges. It took a while for the game to really kick in to full flow, and the first legit chance came when Sergio Agüero's chance to score another against Tottenham was thwarted by a strong Lloris stop. The visitors' attacking players were getting plenty of the ball while the North Londoners seemed isolated in that department. And as projections would go, Kevin De Bruyne continued his blistering start to life at Manchester City as he broke the deadlock after 25 minutes. The Citizens personified counter attacking football at it's best, when Kyle Walker surrendered possession from a Spurs' corner. Yaya Toure catalysed the move forward charging down the field, before feeding Kevin De Bruyne who slotted it away. Television replays suggested that strike was in fact offside. But with Tottenham now reeling, Raheem Sterling was infuriated at himself as the English winger once again failed to find the net. He did everything else but beat Lloris, creating space in the moments after his side took the lead, before firing it into the safe hands of the hosts' keeper. After they had got their wits about them, Tottenham began to show promise again. At first, it seemed just a glimmer of hope that was constantly being extinguished by their failure to really implement the attacking edge, before Otamendi breathed a sigh of relief when his poor clearance created a 3-on-1 situation, only for Harry Kane's dry spell to continue as he dragged it wide. Lamela's first time shot soon after went well over, but it was another sign of encouragement. Running alonside City's ever present threat, Caballero was forced to parry away another Spurs attempt, this time from Kane when he was sent through by Lamela. Tottenham were clutching on to the hope provided by shaky defending in the centre-back partnership of Demichelis and Otamendi. And they made another mess on the stroke of half-time, but Pochettino's men would not be wasteful this time round. The goal would provide more ammunition for heated discussions at half-time, that may have been offside too. Eric Dier's shot skidded from long range low into the bottom corner after messy work by City but a move which the linesman didn't acknowledge may have ruled the goal out. Still, it went into the interval all square. 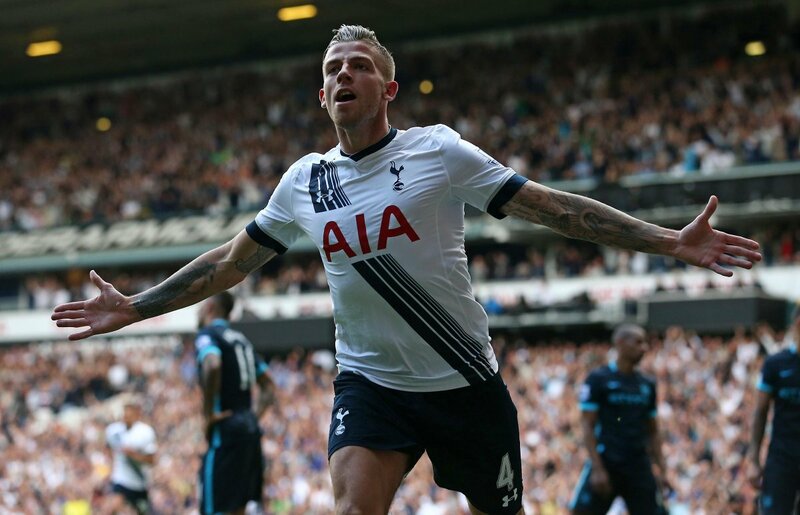 Alderweireld would give Spurs a huge boost early in the second as he headed easily into goal after poor positioning by Caballero left him isolated when trying to get rid of a cross. Yet again an error had fed the hosts an opportunity, and the defender certainly made sufficient use of it as the North Londoners took the lead. 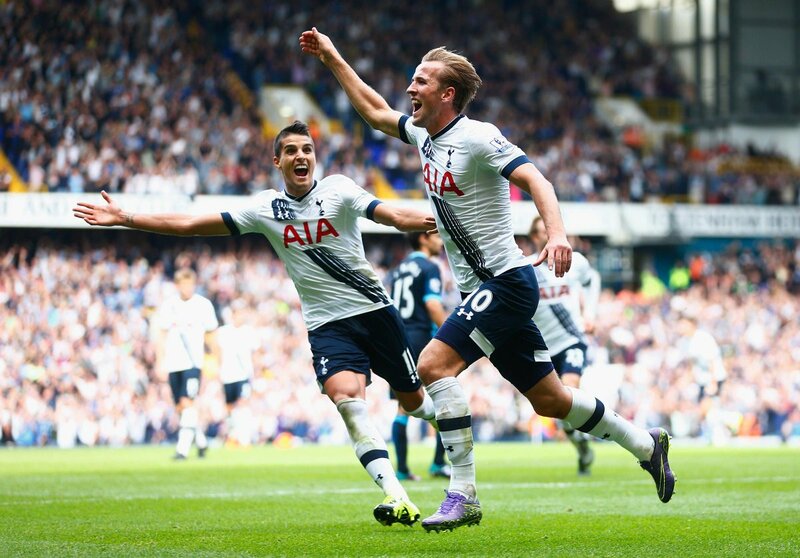 All of a suddeen, the momentum had changed, and that would finally mean Harry Kane ended his goal drought. Eriksen's free-kick rattled the wood work after an hour of football, but the striker was there, ever the poacher, to rebound on the half volley—another goal potentially offside, but it stood, and White Hart Lane was buzzing. 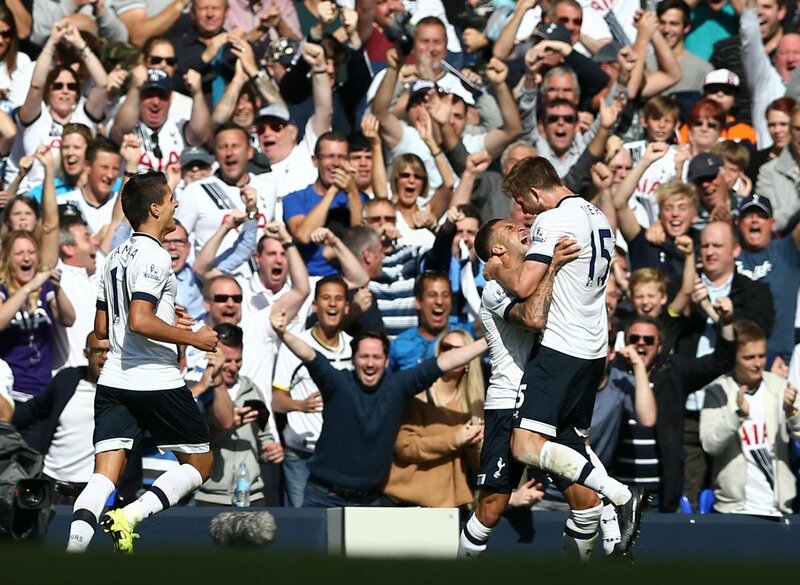 After City continued to falter and Spurs kept moving forward, a rout as such would be confirmed. City's nightmare continued to unfold as Erik Lamela was found in the centre, before rounding the keeper and Demichelis to tuck it away. Manchester City were dealt the second straight Premier League defeat. After starting the season perfectly, it's eventually a heavy defeat in their trip to the capital.